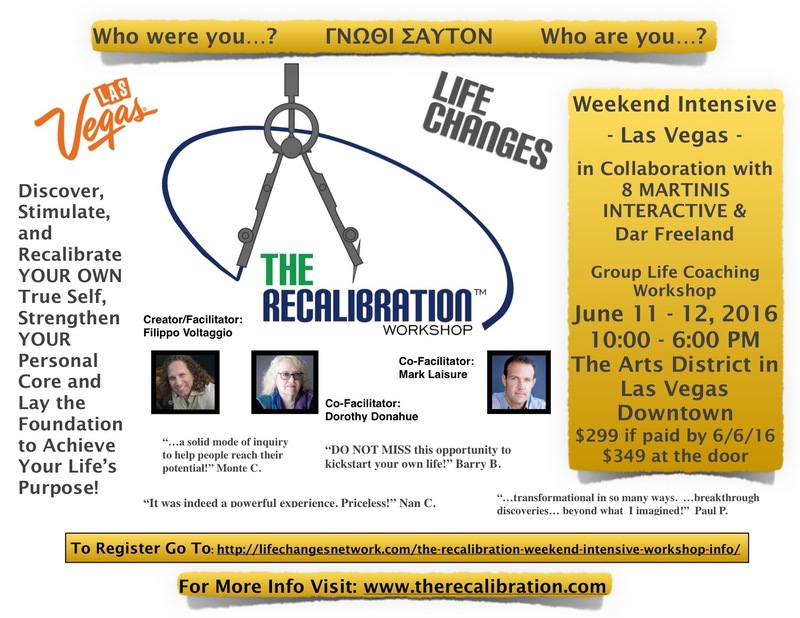 The Recalibration™ Intensive Weekend Workshop comes to Las Vegas, June 11 – 12, 2016. Early Registration Discount for this transformative event ends June 6th. 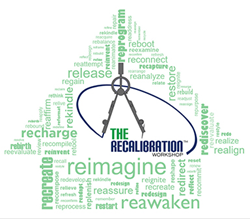 The Recalibration™ is not just another self help workshop. There are an abundance of “self help” workshops, seminars and webinars that focus on helping people change one aspect of their personal or professional lives. Many people who are serious about self improvement have participated in more than one of these workshops seeking to discover easy answers and solutions, and many have been disappointed that the solutions were only temporary. The truth is that true change can only come from a foundation of knowing one’s core and true self. The Recalibration™ Workshop, developed by Certified Master Life Coach, Filippo Voltaggio, focuses on this truth. The methodology used in the Recalibration coursework is referred to as “Core,” “Basic” or “Foundation,” because it works at the Core of Self, Beliefs and Issues, taking students back to Basics. It helps lay a Foundation for one’s true goals, life intention, purpose and fulfillment. This workshop is presented by 8 MARTINIS INTERACTIVE & Dar Freeland and co-facilitated by coaches Dorothy Lee Donahue and Mark Laisure. The Early Bird registration for this event is $299, $349 if paid at the door. Filippo Voltaggio, creator of The Recalibration™ is one of the Founders of The Life Changes Network of Life Coaches. Filippo’s main expertise is helping individuals and groups through transitions of all kinds. Filippo is a Certified Life Coach, an Author, the Host of “The Life Changes Show,” Creator of The Life Improvment Workshop™, Certified Master Teacher of Energetic Alchemy, Certified Reiki Master Teacher, Certified Hypnotherapy Practitioner, Certified NLP Practitioner, Certified Time-Line Therapy Practitioner, Certified Reconnective Healer, Certified Scalar Heart Connection Practitioner, and Theta Healer.